Working on a construction site is one a dangerous occupation. According to recent findings from the Bureau of Labor Statistics, construction-related fatalities accounted for around 21.4% of all worker fatalities in 2015. With nearly, 6.5 million people working at over 250, 000 construction sites across the US on any given day, it’s easy to see why enforcing preventative construction site safety procedures is critical. Every employer is required by law to ensure the safety and health of their workers, regardless of the industry or their occupation. Construction workers are particularly exposed to high-risk environments that pose dangers which need to be addressed. If you’re a construction site manager or project manager, it’s your responsibility to take the right safety measures to safeguard the work site from unnecessary dangers or hazards. If workers are carrying out their work without the proper protective equipment, identify the problem and let them know. If workers are struggling to complete certain tasks safely, prioritize on the specific issue in your training program. Before any work commences, you should always check construction equipment, tools and machines in the construction site to ensure they’re safe for use. For instance, conducting proper planning and staging before starting the day ensures that employees have the right tools and equipment they need for their work. It’s important to use clear signage so that all construction site safety procedures are known, including a 24-hour emergency number and clear directions to the site office. Visible signage helps workers remember and understand safety protocols that need to be followed at all times. There should be clear signage for site amenities as well as first aid and emergency fire equipment. Ensure proper construction site security. Restricted site access is not just about preventing equipment theft or damage. You should have security measures in place that restrict access to the work site outside of working hours to protect workers or any other person from potential construction hazards. Strict safety and security protocols must always be followed. 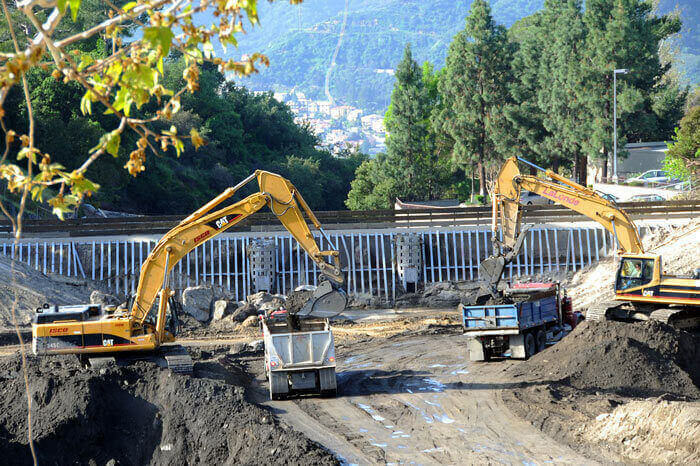 Construction sites must also have separate entry and exit points for vehicle access and heavy machinery to ensure safety at high-traffic areas in the construction site. Training is a key part of ensuring workplace safety in all industries. 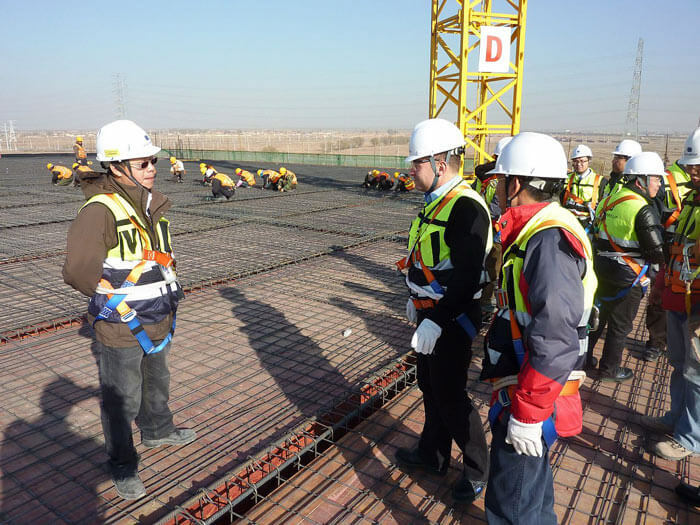 Many project managers assume that all workers are aware of the construction site safety procedures of a working site. Failing to provide training to workers, whether working only for a few days or months to come, is one of the contributing factors to rising cases of injuries and fatalities in construction sites. Based on worksite analysis, develop a simple training plan for your workers. It’s advisable to have more than one category. E.g. Your training plan should prioritize on the most common mistakes, safety risks and incidents that you’ve noted in a specific area. The training program should be simple but effective. It’s one thing to offer training and another to offer it in an easy-to-understand format. Workers will be more engaged if they can understand the training you’re offering. Whether you’re offering training to address certain violations or on construction site safety procedures for a new construction project, you should deliver training in an accessible and flexible model. You can use a learning management system to deliver short and precise courses that can be accessed online on any device so that workers can access them anywhere and at any time. It’s common to find construction workers speaking multiple languages in construction sites across the United States. Even though all your workers may speak some English, you should tailor your training program to fit all your workers. That’s why adopting a learning management system that you can develop and modify courses to fit your workers’ needs is recommended. For one, you can create training courses in different languages, or you can have specific courses for specific workers like those using heavy machinery or working at height. In the construction industry, you’re required to have at least one qualified first aid officer per 25 workers. On top of that, it’s best to train your workers on basic first aid in case of an emergency. 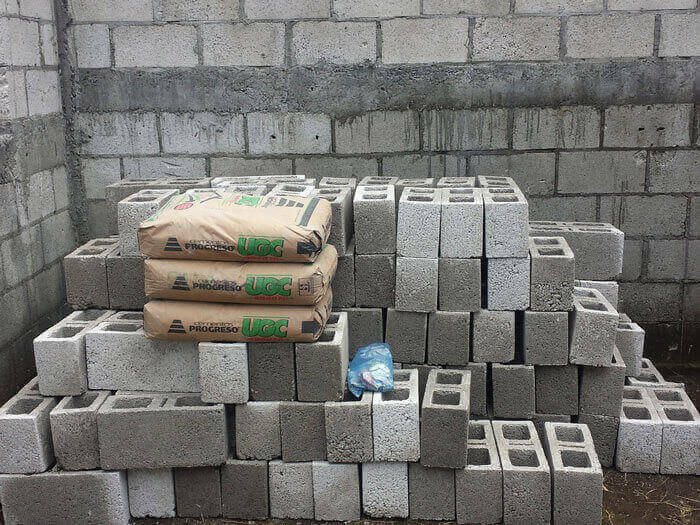 First aid kits and equipment must also be provided and placed in easily accessible areas in the construction site. As part of construction site safety procedures, all construction workers should be provided with the proper personal protective equipment and clothing. If you’re a worker and don’t have the right protective clothing or gear, you have the right to demand them from the people in charge or your employer. Here are some of the PPE requirements for construction sites. Quality, well-fitting and comfortable personal protective equipment and gear must be provided to construction workers. The gear and equipment should be stored properly after use and be inspected and maintained on a regular basis. In every working environment, promoting and enforcing good practices and construction site safety procedures plays a huge role in ensuring safety for everyone. Ensure that the top management, site supervisors, and even workers are enforcing rules, observing working protocols and encouraging positive behavior. You should also encourage your workers to be part of the construction site safety program. They can contribute by offering ideas on improving their own safety. Encourage workers to report safety concerns and risks to supervisors and project managers. The management is expected to take immediate action on any reported hazards. Most incidents can be easily avoided if someone speaks up, so remind workers to be open when they see something. Construction sites present new safety challenges every other day. You must be vigilant in maintaining safety at all times. For instance, good site housekeeping practices like cleaning up working areas after a day’s work can help avoid trips and falls that could cause injuries. If there is a damaged or broken fence, have it fixed to protect workers. Let your workers know the right time to work and when to stop working due to environmental conditions. Extreme weather conditions can easily cause safety hazards in construction sites. You should have in place clear construction site safety procedures for workers to follow in the event of an emergency. Due to the nature of working at construction sites, it’s hard to eliminate all safety risks. 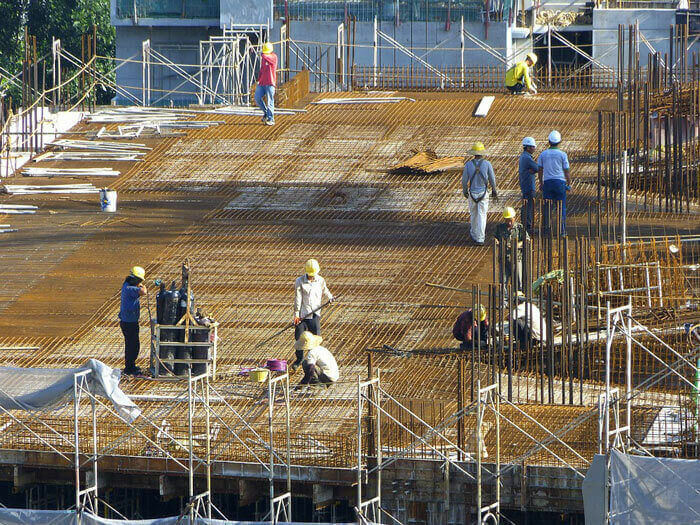 While enforcing good practices in construction sites may help prevent safety issues, it’s always best to minimize and manage risks in construction sites. This can be done by regularly conducting safety audits and having in place protocols to report, evaluate and address potential hazards. All personnel working at a construction site should be aware of the proper material handling and storage procedures. For manual material handling, the expected lifting techniques should be made clear to avoid injuries. For handling of mechanical materials, operators need to be aware of the weight lifting capacity of equipment like cranes and forklifts to avoid potential accidents. All construction materials and equipment should be stored properly when not in use to prevent materials damage, accidents or injuries. Ensure safe loading limits for materials stored inside a building. All passageways should be kept clear for workers. Ensuring safety for all workers in a construction site takes more than just implementing a safety program or enforcing rules. There has to be a dedicated effort by supervisors, project managers and workers to ensure construction site safety procedures are followed every day, risks identified and incidents reported to help prevent further accidents or injuries. Teamwork is key in ensuring safety. At Moldex-Metric, we specialize in protective gear like earplugs, respirators, and eyewear that meets the strictest standard set by OSHA. In addition to instituting a safety program for your workers, you should also buy the best PPE gear like earplugs and reusable respirators to provide your employees with the protection they deserve.